Is meditation a science or is it an art? Is it both? These are questions that have occupied the great masters and practitioners of the East for eons. But in this short guide to the science of meditation, we explore how meditation has started to captivate the great minds of Western science. In the last decade, there has been an explosion of scientific research into the salutary effects of meditation on everything from stress and pain management to elite athletic performance. Advances in medical technology, especially fMRI scans, have allowed researchers to more effectively study meditation’s effect on the brain. The process of meditation, as well as its effects, is a growing subfield of neurological research. Modern scientific techniques and instruments, such as fMRI and EEG, have been used to study how regular meditation affects individuals by measuring brain and bodily changes. What was once considered a mystical curiosity indulged by lazy hippies is now regarded as a serious and transformative practice from the hallowed halls of Harvard to the world-building tickers of Wall Street. Research on neuroplasticity gives neuroscientists a framework for tracking meditation research. And the Center for Investigating Healthy Minds at the University of Wisconsin-Madison is beginning to see that “even short amounts of practice,” like 30 minutes of meditation per day, “can induce measurable changes in the brain” that can be tracked on a brain scanner. Do you want to learn about the scientific power of meditation? Check out this delightful video from the folks over at AsapSCIENCE. 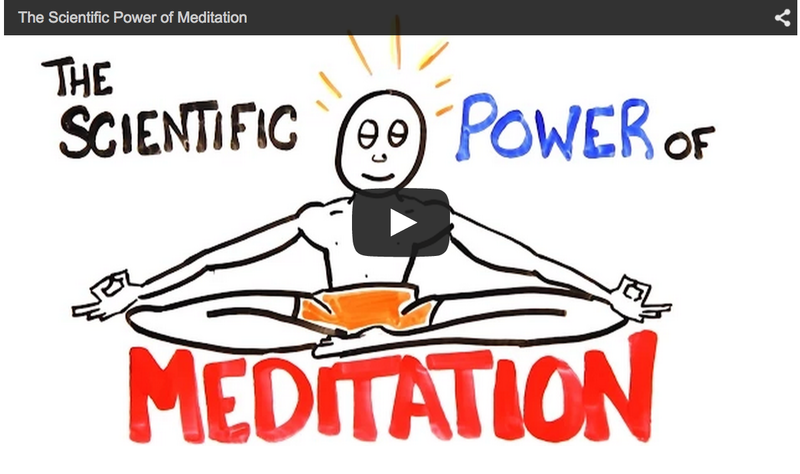 In a simple but power packed 3-minutes, they give you a boatload of digestible data on the science of meditation. If you’ve been looking for a simple way to learn about the latest neuroscience and what it tells us about the benefits of meditation, look no further. What can neuroscience tell us about mindfulness meditation? Can it, as some people suggest, improve our capacity to change and adapt in stressful situations? And why does a recent article from Harvard Business Review assert that practicing mindfulness is essential to effective leadership? Do you struggle with stress? Are you uncertain of how to deal with it? Then you might consider developing your capacity for the relaxation response. Allow me to explain. In 1971, a Harvard trained medical doctor published a landmark book. It was called The Relaxation Response. It was a revolutionary moment that’s easy to see in hindsight. But at the time, it was like a tiny pebble rolling down the mountain which eventually triggered a landslide. There are countless approaches, benefits, techniques, and schools of practice. And if you’re like most people, you’re probably looking for a simple and comprehensive overview. Where should you start? What are the different approaches? When should you meditate and for how long? Finally, what are the benefits of meditation and what does science tell us about it? Check out this snazzy infographic to learn more about the physiology of stress and how meditation reverse the effects of stress. Did you know there is actually a science to making meditation a lasting habit? A lot of people struggle to be consistent with meditation. And that’s understandable, because meditation can be challenging. But we can actually make it easier on ourselves. One way to do that is to learn the science of habit formation. It’s not as hard as you may think. You just need to learn how to hack into your habit loops. That’s something that just about anyone can do. Science has proven that a meditation practice has the power to improve our health, both mentally and physically. But did you also know that meditation can actually change your DNA? Science is validating the opinions that shamans, gurus and yogis have had for years. 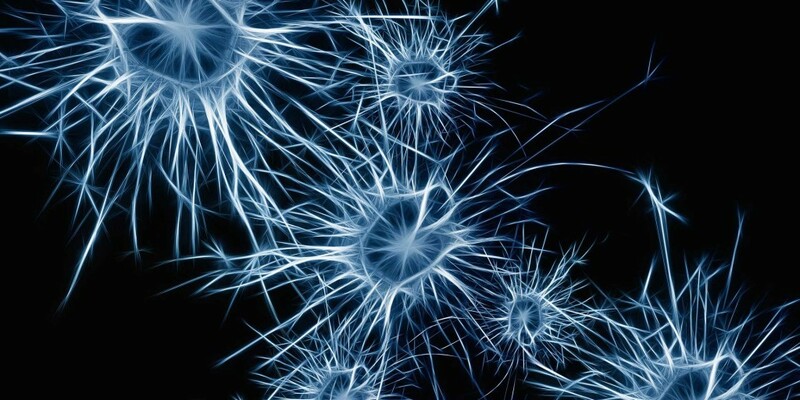 What is neuroplasticity? Want to break a habit or change the way you feel about something? Change your brain physically with contemplative exercises and watch your thinking and points of view change. It’s relatively easy when you know how. Meditate. Several research studies have shown that contemplative practice, such as meditation, can physically transform the structure of your brain and thought patterns. A study by UCLA psychologist, Matthew Lieberman, shows how meditation works. Psychologists have long believed that if you talk about your feelings, you’re generally better at controlling them. However, not so long ago, they didn’t understand why. Meditation techniques are designed to help people pay attention to their emotions without attaching strong reactions to them. This makes them better at emotional control.